If you are on holiday in Rovinj and need to do a bit of shopping, this small guide should help you finding your way around in Rovinj. On the map below we have marked all the larger supermarkets in Rovinj. These supermarkets have more or less everything in terms of daily goods and in most of them you also find a decent non food selection. The only shopping mal, if you can actually call it that, is the Mercator shopping centre where you find a larger Mercator supermarket as well as some smaller shops. 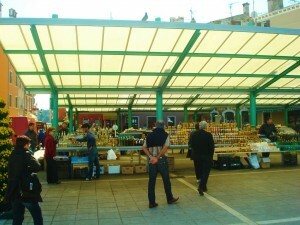 Which is the cheapest supermarket in Rovinj? Well, that depends on what you are shopping, from my experience I would recommend LIDL. The closest you would get to a shopping street in Rovinj, is properly the Carera Ulica (see map below), here you can find a variety of shops selling souvenirs, shoes, clothes and other items. In the old town part you mainly find souvenir shops and galleries, and on the promenade you can find a few jewellery stores between all the restaurants. If you are looking to do “real shopping” in a shopping mal you will have to go to Rijeka where you have the “Tower center Rijeka” with more than 100 shops. 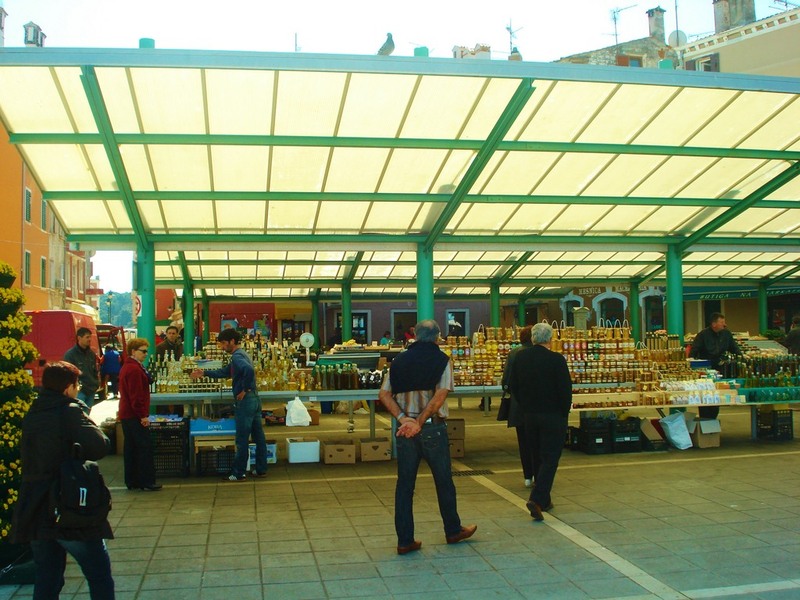 At the green market in Rovinj you can buy fresh fruits and vegetables, some locally produced which means the offer will vary depending on the time of the year. Also in the area of the green market you have several stalls selling souvenirs, herbs, liquor and other locally produced goods.